Elvetta inherited her love of field hockey from her mother, Mae. As a young girl, Elvetta would tag along when her mother played in club games. Elvetta started playing field hockey herself in 7th grade at Jenkinstown High School outside of Philadelphia. She was field hockey captain, as well as captain of the tennis club in her senior year. She was also an outstanding lacrosse player in high school. She next attended Temple University in Philadelphia where she again starred in three sports – field hockey, lacrosse and tennis. She graduated with a B.S. in Education in 1972. 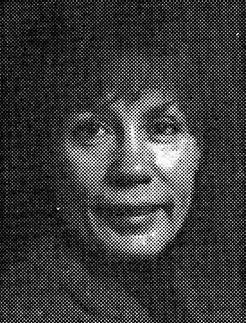 She accepted a position as physical education teacher at Crestwood High School in 1972, where she co-coached basketball then softball, then volleyball with Pat Wincek. However, Elvetta’s most notable exploit at Crestwood is the creation of their field hockey program, which Elvetta started as a club sport in 1973. An exhibition schedule was played in 1974 and 1975, with league play starting in 1976. The program grew due to Elvetta’s determination and drive. She has amassed an outstanding overall record of 341 wins – 73 losses – 10 ties. In 1993, Crestwood was the first Wyoming Valley conference team to play for the PA State AA Field Hockey State Championship, losing 1-0 to Springfield. In 1988, her team won the PA State AA Championship over Northwestern Leigh 2-1. Their season record was 24 wins and no losses. Her teams have had 7 final four finishes, and for 16 years qualified for state playoffs (the last 13 years in a row). They also won 13 District 2 championships in both AA and AAA, and won 12 Wyoming Valley League Championships. Every year, Elvetta produces a yearbook detailing the past season and sends out countless tapes to help her outstanding athletes obtain college scholarships. Crestwood players were the first in this area to be awarded athletic field hockey scholarships. Her most well-known player is Diane Madl, who went on to play in the 1996 summer Olympics for the U.S. Women’s Field Hockey team. Diane states “I owe so much to Mrs. G. She was the first person to open my eyes to just how good I could be. I don’t think I would have been able to make it to the Olympics without her.” Elvetta married her college sweetheart in November of 1971. They reside in Mountaintop, Pa.